why is the Fairfax media, now known as Stuff, so devotedly pro-government? Not just at the local level — in our case the KCDC — but at the regional and central government levels. Most readers will have noticed the bias which has become much more pronounced in the last 6 months with the company making very clear it is not interested in having balanced views on various subjects (see earlier). Reporters are clearly under orders to promote whatever the incumbent council / central government say and do, and the company knows it can get away with that if it also presents somewhere in its reports the absolute minimum of comment by those who oppose the government stance. At one time Fairfax in Australia, which dates back to 1841 when John Fairfax bought the Sydney Morning Herald, was a respected newspaper organisation; but since last July it has been a subsidiary of Channel Nine TV in Australia and is quickly losing not only respect, but also relevance. Fairfax moved into NZ in 2003 and began buying up newspapers — as well as other operations, most notable of them TradeMe in 2006 for which which it paid a then astronomical sum of $700 million. That was more recently added to by acquisition of the Neighbourly social media website, about the only real alternative in NZ to Facebook. But things are changing rapidly. 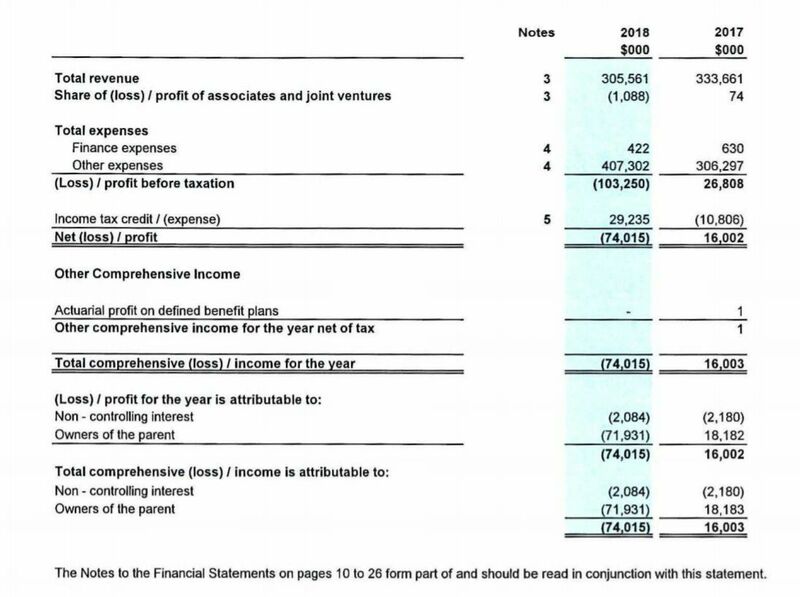 From the Annual Report profit summary shown above from this pdf: a $16 million profit for the year to 30 June 2017 became a loss of $74 million in the year to 30 June 2018. If that trend has continued — and there’s no reason to think it hasn’t — then it’s clearly a company in trouble. In answer to the top question, basically, it’s a case of “follow the money.” What is a good reliable source of advertising revenue? The government in its various incarnations, of course. The KCDC spends at least $100,000 (we’ll ask for the exact amount soon) a year with the Kapiti Observer and now that the company has closed its Kapiti office and its reporters work out of Wellington, that ought to cover a sizeable chunk of overheads — the rest of the advertising it gets is the cream. Another Big question — What does Channel Nine intend to do with the NZ subsidiary?